It seems that for a growing number of leftists, “justice” is a one-way street that applies only to certain select segments of the population. 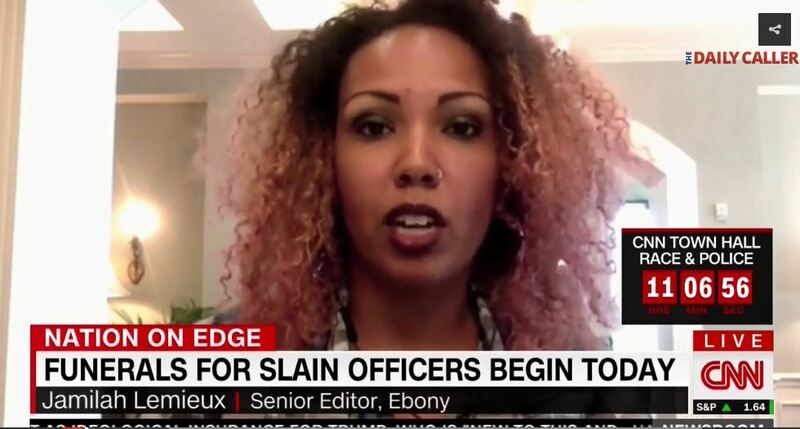 Consider, for example, Ebony Magazine’s Jamilah Lemieux, who told CNN on Wednesday that the concept of hate crimes does not apply to white people, nor does it apply to police officers. “I have to say, I would not describe hate crime as the most comfortable word choice, considering these circumstances. There’s so much that we do not know about what took place, what motivated this person. We only have the one account of law enforcement. We haven’t had the opportunity to really look into his history in a meaningful way,” she said of the Dallas cop-killer. “When we use a phrase like ‘hate crime,’ we’re typically referring to crimes against people of color, people of various religious groups, LGBT people, people who have been historically attacked, abused or disenfranchised on the basis of their identity. To now extend that to the majority group and a group of people that have a history with African-Americans that has been abusive, and we can apply that to either police officers or to Caucasians, I think gets into very tricky territory,” she added. Micah X. Johnson, by the way, told officers he was targeting white people, especially white cops. Of course, that’s not the way the race-hustlers are presenting it.